Getting a traffic ticket is no fun. It causes a time delay from getting pulled over, usually costs a few hundred dollars in fines, add points to your license, cause your insurance costs to go up, and may even require you to go to traffic school. People who’ve been driving for a long time may even be surprised when they get a ticket. It’s been so long since they’ve sat through a driver’s education course, and they’ve probably had the same bad driving habits for a long time. 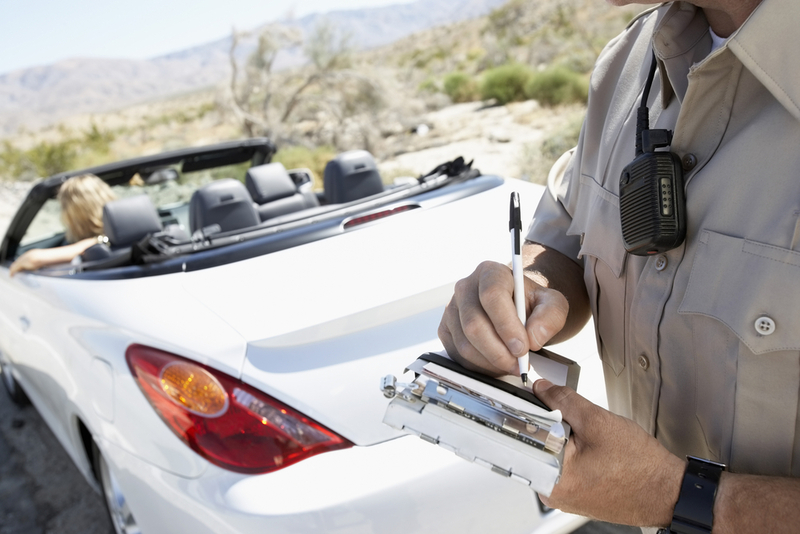 As a refresher, here are some of the most common traffic violations. This is one of the most common violations. Many people around the country drive over the speed limit, especially on highways. Depending on how fast you’re going, speeding can have fines up to $500, and you may have to go to traffic school or have points added to your license. Speed limits are carefully set to make the roads as safe and efficient as possible, so do yourself a favor and follow them. You’ll be glad you did. This doesn’t necessarily mean blatantly blowing through a red light or stop sign. When you’re at a stop sign, you need to come to a complete stop, not just rolling through if there aren’t any other cars around. A good rule of thumb is to stop for three full seconds to be sure. The same rule applies when making a right on red. Even if there are no cars coming, you need to make a complete stop before turning or risk getting a ticket. It’s tempting to just switch lanes without a signal when you see an opening, but that can get you a ticket, as well. Other drivers can’t read your mind, and signaling when turning or changing lanes is the only way to let them know. If you don’t use a signal, you could get rear-ended or side swept by another car. This entry was posted in Top Driver Blog and tagged Bad Driving Habits, Car Safety, Celebrity Cars, Driver Education, Driver School, Driving, Driving in the Rain, Driving Practice, Driving Tips, How To, How to Drive a Car, New Driver, online driver's ed, safe driving, Safety Tips, share the road, Teaching Your Teen To Drive, Teen Driver, Teenage Drivers, Teens To Drive, Top Driver, Winter Driving.